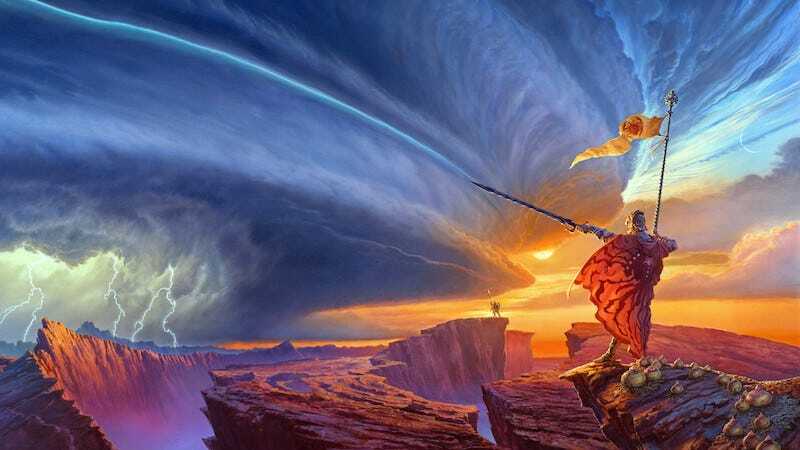 It’s kind of surprising that it’s taken this long for us to get here, but DMG Entertainment has bought the rights to best-selling fantasy author Brandon Sanderson’s Cosmere books. All of them. And it looks like we’re not going to have to wait that long to see them in theaters. For those not in the know, Sanderson’s Cosmere books aren’t a traditional series of novels. They’re all interconnected and take place in the same universe, but they’re not as clearly related as a series of books following one plot and one group of characters is. Which makes them both a great property to adapt (people can probably jump in on every movie) and a hard one (translating those subtler connections to from page to screen). DMG isn’t sitting on these rights at all. According to Variety, DMG is fast-tracking The Way of Kings and hired Patrick Melton and Marcus Dunstan (Saws IV through Final Chapter) to write the script. A happy creator is usually a good sign, but we have a way to go before we find out if this works or not.